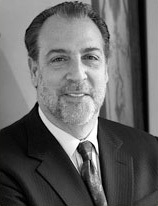 Martin F. Scheinman '75, MS '76, has over 25 years of experience as a full time ad hoc and contract arbitrator in private and public sector disputes. He has arbitrated over 10,000 disputes throughout the United States and served as fact-finder in hundreds of cases in the Eastern United States. His portfolio of public sector cases include teachers, school administrators, school-related personnel, municipal and county employees, state employees, health care workers, police, fire and sanitation employees; private sector cases include manufacturing, broadcasting, food services, higher education, rail, air, machinery, pharmaceutical, paper, hospitals and nursing homes, printing, newspaper, telephone and power industries. Marty Scheinman is a member of the National Academy of Arbitrators, the American Bar Association, and the Industrial Relations Research Association (IRRA). His panel memberships include AAA, FMCS, NYPERB, NJ Board of Mediation, NY State Employment Relations Board, and the NYC Office of Collective Bargaining. His portfolio of experience includes serving as an Industry Impartial Chairman for several union and management associations, and as a Permanent Panel Arbitrator for countless entities— public and private; labor and management. Formerly an Adjunct Professor at Hofstra University and Cornell University’s ILR School, Marty has lectured on arbitration, discipline and grievance handling since 1978. He frequently teaches for ILR's outreach programming from the Metro NYC office and is the most senior member of the extension faculty in NYC. Marty's strong advocacy of the ILR School, its programs, and its students has been consistent and clear in communicating a message of alumni involvement. He is a longtime member of the ILR Dean's Advisory Council, and has been active with ILR's Groat Alpern Event Committee efforts and his Class of 1975 Reunion Campaign. He was a member of ILR’s Committee for the University’s Campaign for Creating the Future in the early '90s and will play a leadership role with an ILR Affinity Group of Neutrals for the upcoming University Campaign. Recently, Marty and four ILR friends joined together to name the Labor Law Reading Room in Catherwood Library in honor of the ILR School's commitment to labor, management and neutrals working together. This message is important to Marty—he has lived his life by it. Of equal importance to Marty is the Neutral-In-Residence Program, which has been a central theme of his ILR School connection. He characterizes his leadership and steadfast support of the McKelvey Neutral-In-Residence program as a tribute to Jean McKelvey, a chief mentor whom he credits with "helping me choose what I do every day of my life." In addition to his ILR degrees, Marty received a JD from New York University in 1979. He and his wife, Laurie, and their children, Sarah, Sam, and Rachael Scheinman, and Erin and Emily Szulman, live in Sands Point, New York. 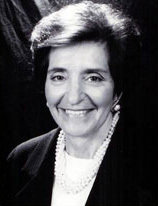 Adele C. Smithers-Fornaci, a long-time friend of the ILR School, has devoted herself to the field of alcoholism since joining the National Council on Alcoholism in 1960. She has earned a reputation as “the real godmother of the new style of philanthropy” (a “muscular style” according to The New York Times) for her precedent setting work on behalf of charitable donors. Mrs. Smithers-Fornaci has also been dubbed the “godmother” of research, education, prevention and recovery in the alcohol abuse and dependence fields. As President of the Christopher D. Smithers Foundation, Adele Smithers-Fornaci heads the nation’s first and oldest private philanthropy devoted to the funding of alcoholism related initiatives. She has been known to speak strongly on behalf of America’s youth population, who she declares should not be targeted by alcohol advertising. She has been on the forefront to promote alcoholism programs for women and the elderly. ILR’s Smithers Institute rests on the legacy of R. Brinkley Smithers, Adele’s first husband. In the fifties, R. Brinkley Smithers forged a close working relationship with Professor Harrison Trice at the ILR School. Together, they conducted a number of pioneering studies on alcoholism. These included a series of studies on the social psychological predictors of affiliation with Alcoholics Anonymous; the workplace risk factors associated with alcohol, drug and workplace programs for the prevention and treatment of employees personal problems. This pioneering work continues at the ILR School’s Smithers Institute for Alcohol-Related Workplace Studies. The close collaboration Brink Smithers forged between the ILR School and the Christopher D. Smithers Foundation continues because of Adele and their son, Christopher B. Smithers. The Smithers Institute’s commitment is to fight the battle against the disease of alcoholism and specifically take that battle to the workplace. Over the years, Mrs. Smithers-Fornaci and the Christopher D. Smithers Foundation, under her leadership, have been recipients of numerous awards from many distinguished groups, among which are: The Gold Key Award from the National Council on Alcoholism and Drug Dependence for “individuals who have made outstanding contributions to the field of alcoholism on a national level;” the Boys & Girls Club of America’s Service to Youth Award; First President’s Award from New York State Drinking Driver Program Directors Association; The American Society of Addiction Medicine presented an award “in recognition and gratitude for her personal endeavors to create a better public understanding of alcoholism as a treatable disease.” Mrs. Smithers-Fornaci received the first award given by the United States Governor’s Spouses initiative, Leadership to Keep Children Alcohol Free Foundation, in recognition of her commitment to our nation’s youth. She has been cited by the Association of Fundraising Professionals of Greater New York as one of New York’s finest philanthropists. In 2005 she and the Foundation were cited by the Association of Fundraising Professionals of Long Island on Philanthropy Day in recognition of leadership, time, efforts and financial support. Mrs. Smithers-Fornaci received the prestigious Pioneer Award presented by the International Council for Caring Communities of the United Nations. The award recognizes individuals who have made significant contributions to improving the quality of life of citizens throughout the world. She was the first recipient of the Derek Jeter Turn 2 Foundation’s MVP Award for her strong support of their programs dealing with youth. Mrs. Smithers-Fornaci and the Foundation were invited to participate in the 2005 White House Conference on Helping America’s Youth. In addition, Mrs. Smithers-Fornaci was a guest of the First Lady Mrs. Laura Bush at a White House breakfast, which honored foundations dedicated to helping America’s Youth.